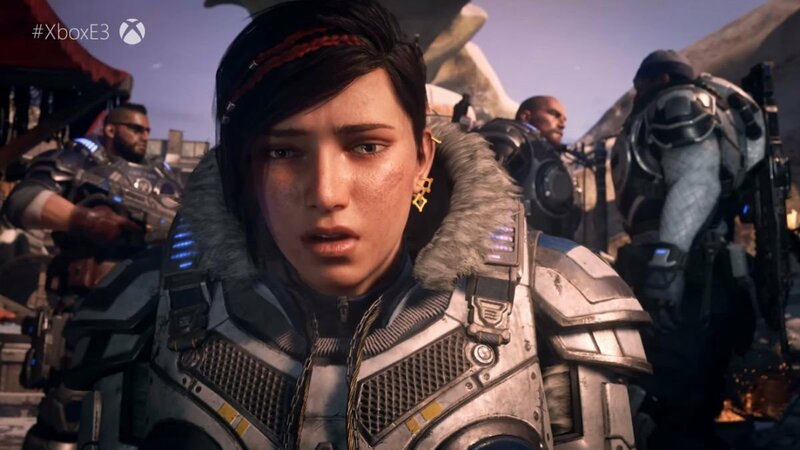 Gears of War 5 was one of the games that was announced by Microsoft at this year’s E3. We’ve already been able to learn quite a few details about the game, including about its world, its protagonist, and more. Now as part of a new special episode for Inside Xbox, we’ve been able to learn some new details about the game. First of all, we hear about why Kate was chosen to be the protagonist in the game. The developer stated that it felt like a natural progression for Kate to be the protagonist in this game, since even in Gears of War 4, the game was about finding Kate’s mother, and JD was just around to help her. Regarding the game’s world, the developer stated, “For us, it was all about having the biggest, most beautiful world we’ve ever made.” We also learn that the trailer was made with the intention to showcase the distinct environments available in the game. We also learn that the skiff we saw in the trailer will be used freely in the game to get around from one place to another. It certainly looks like there’s a lot to look forward to in this game. What do you think of it so far? Let us know in the comments.